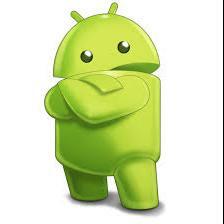 Keep my droid or get the iPhone? The age old question.? I am a female in my mid twenties. I currently have the droid bionic that I bought when it came out a couple years ago, but I have always wanted an iPhone, just didn't want to be so cliche and feel I needed to have one. Well since having my iPad mini for over a year now, the want for the iPhone is stronger than ever. So the question being, should I keep my droid bionic or get the iPhone 5s. I would even get the 5 maybe but they no longer sell them.